Every individual has a right to receive a statement of account from his or her bank detailing the deposits, withdrawals, the opening as well as the closing balances, and the bank charges if any. At the same time, the individual has to furnish certain information to the bank while applying for credit facilities. 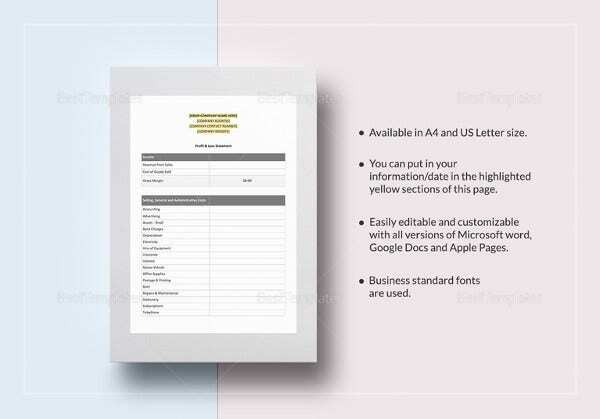 These Bank Statement Templates along with the Internal Link Anchor Text would enable you to have access to and submit the required information. 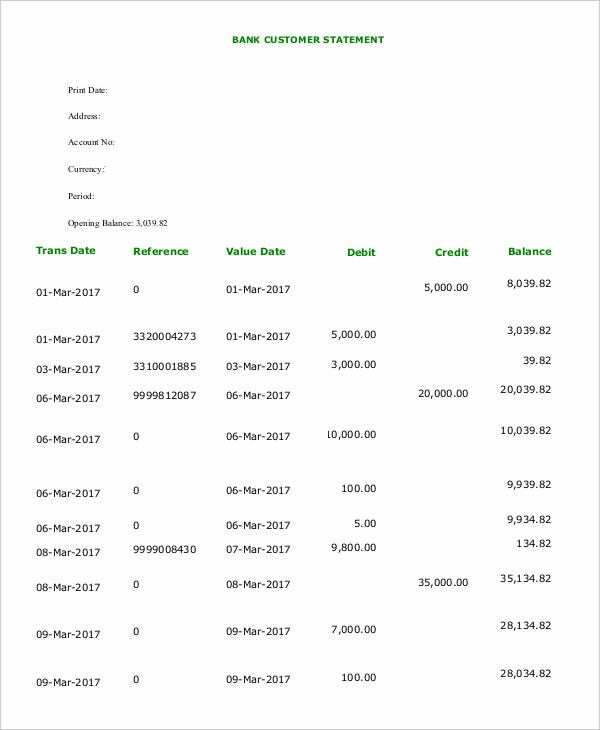 This is a simple bank statement template giving you details of the deposits as well as the withdrawals made during a particular period. 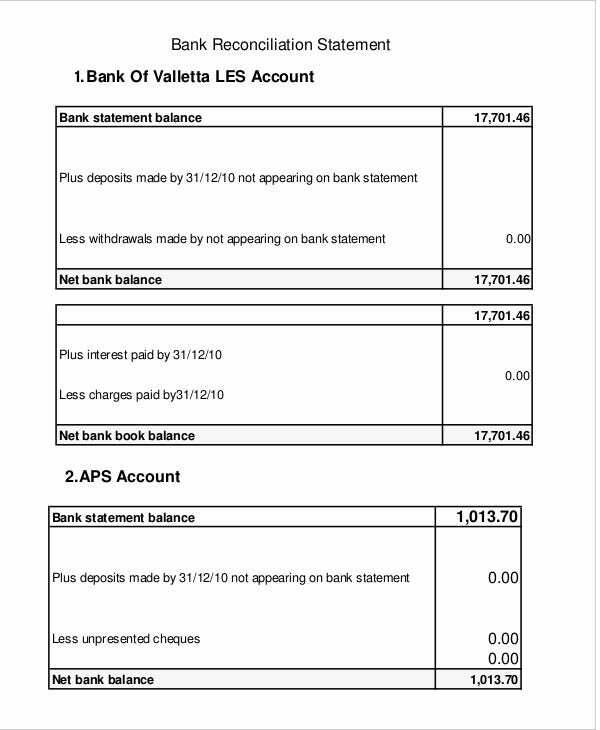 It shows the details of the other bank charges as well. The statement summary shows your opening as well as closing balances in addition to your personal details. 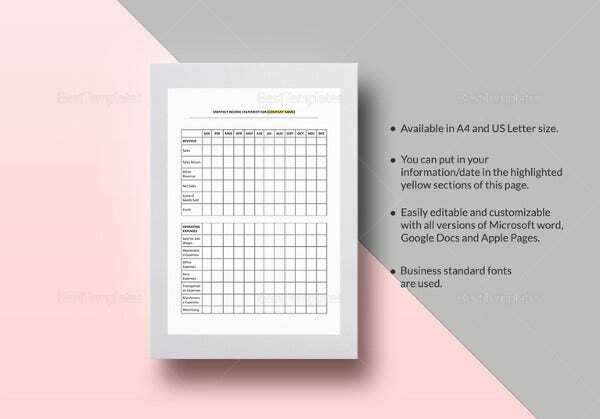 You may also see Cash Flow Statement Templates. 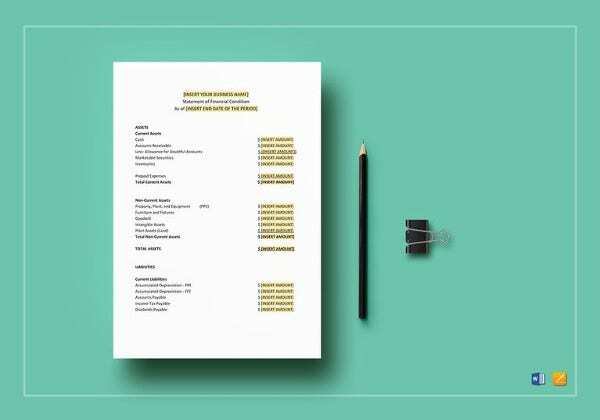 Whenever you apply for a credit facility with a bank, you have to submit the details of the assets and liabilities of yourself as well as that of the co-applicant. 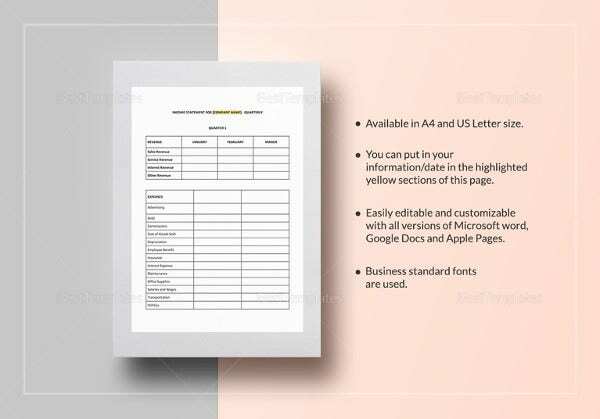 This Bank Financial Statement Template enables you to submit this piece of vital information to the bank. 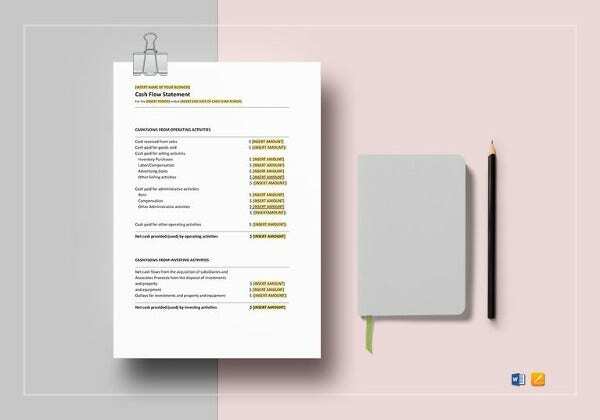 When the industries, as well as the business establishments, apply for credit facilities from a bank, the bank would require the industry to furnish the details of their balance sheet in a particular format. 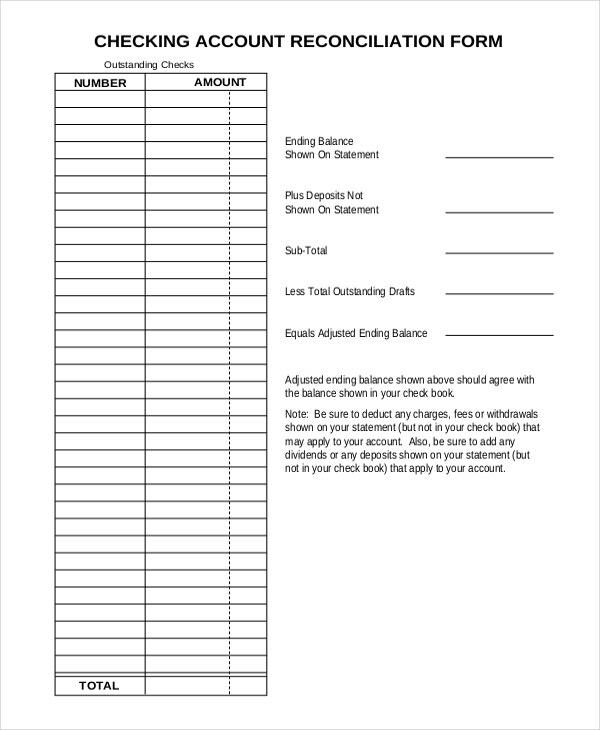 This Bank Balance Statement Template is the format for submission of the details. Any individual can face financial difficulties in repaying his mortgage liabilities on a monthly basis. There are agencies that can help you in this regard. 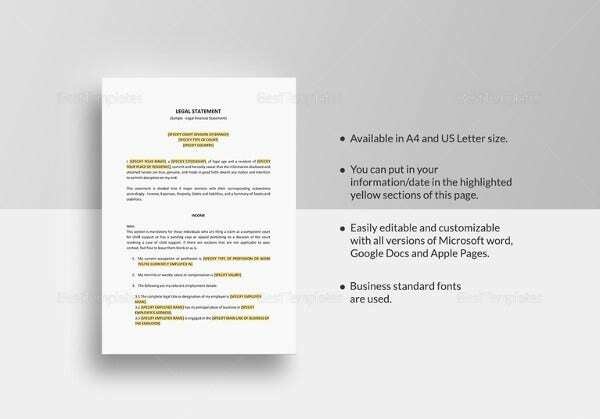 The Industrial Standard Financial Statement Template would be of great help in providing the requisite information to such agencies. 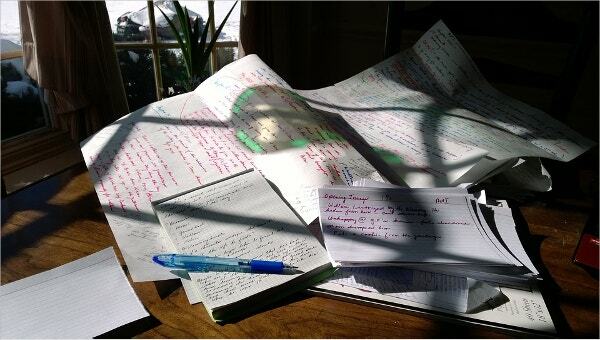 Any financial analysis would be incomplete without ascertaining the cash flows in a business. 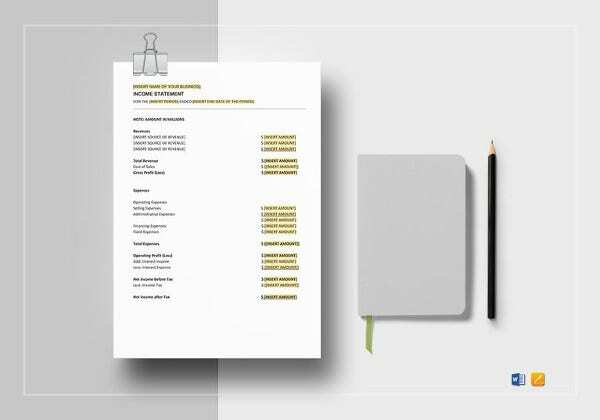 The cash flow statement can bring out certain aspects of the business that a regular financial statement cannot. Hence, banks insist on its submission on a regular basis. 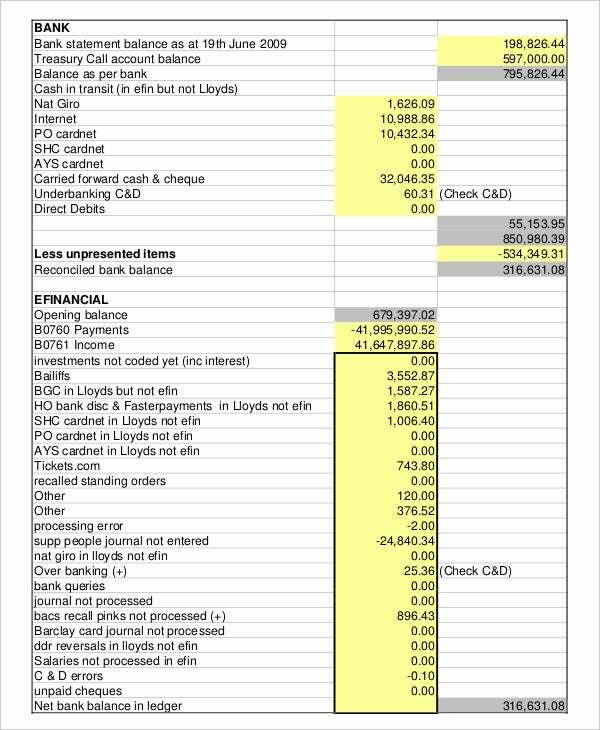 This Bank Cash Flow Statement Template would enable you to do so. 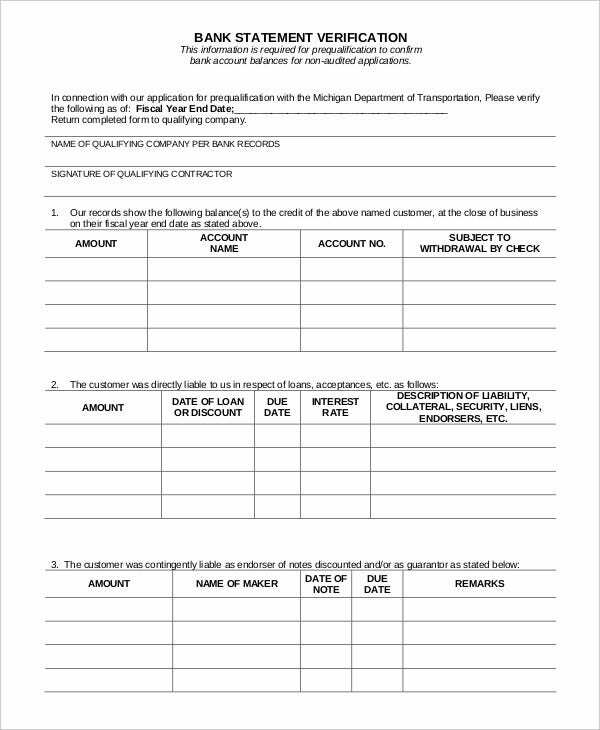 This is a simple application form template for applying to the bank for financial assistance. 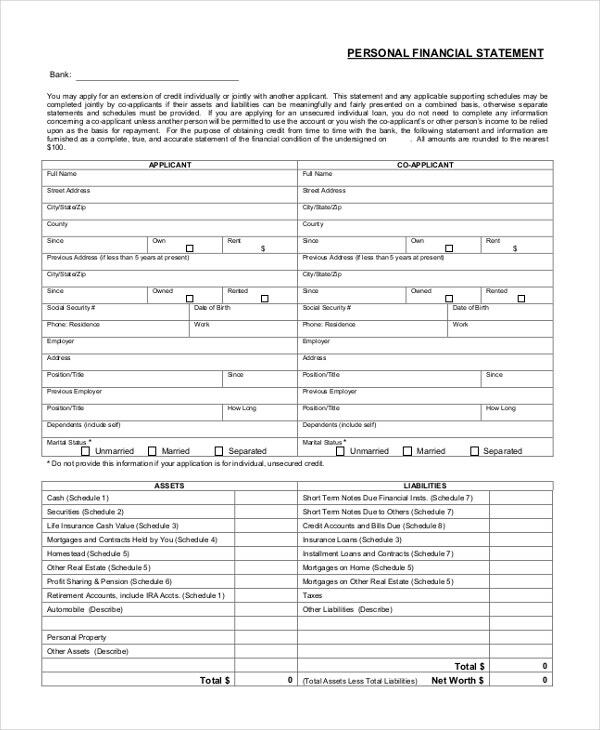 This template would include the personal details of the applicant as well as the details of the purpose of the financial assistance sought for by the applicant. This is the template of a Blank Bank Statement. 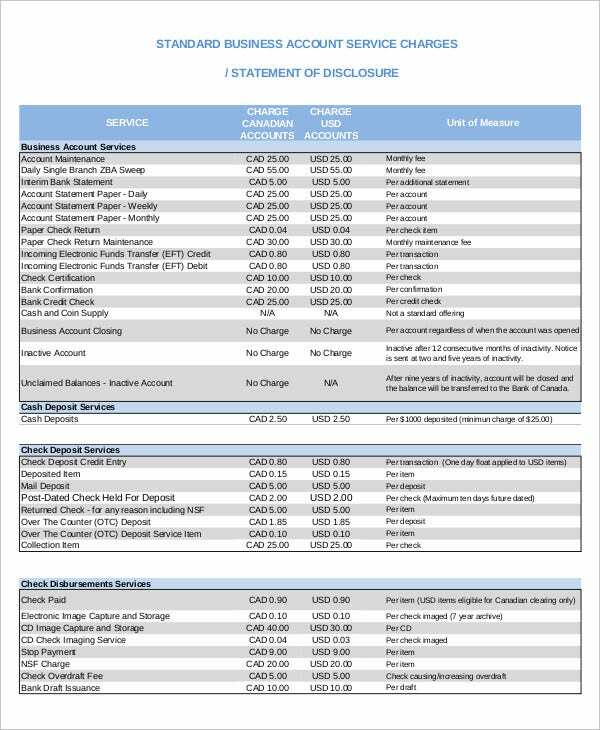 This could be useful to anybody to understand the intricacies of the bank statement. This blank statement contains the requisite information, instructions, as well as the warnings about using the same. 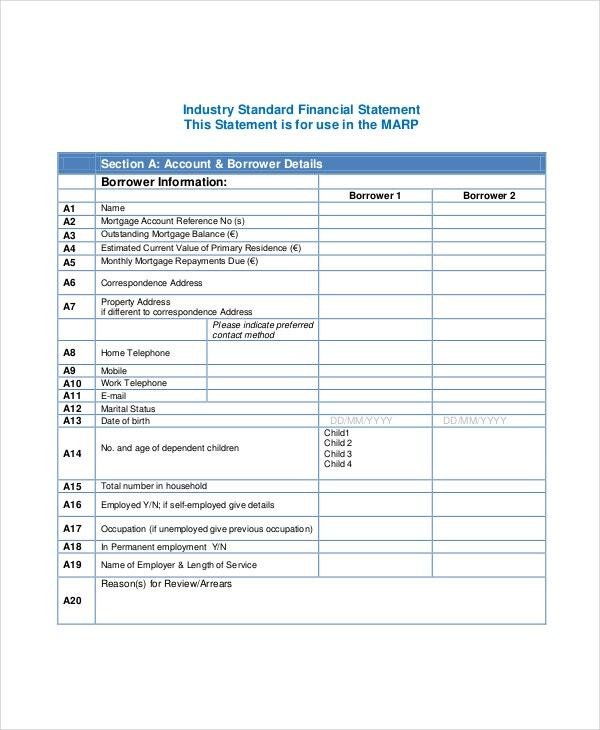 > How to Request a Bank Statement? An individual has a right to request his or her bank to provide a statement of his or her account for his perusal. The bank is under a statutory obligation to part with the information and accede to the request. There is a particular way in which one has to request for a bank statement. 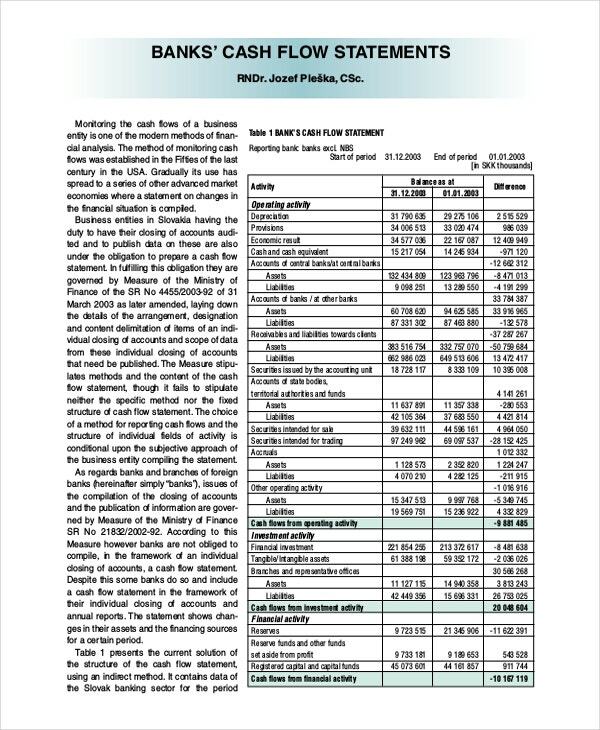 You may also see Financial Statement Templates. 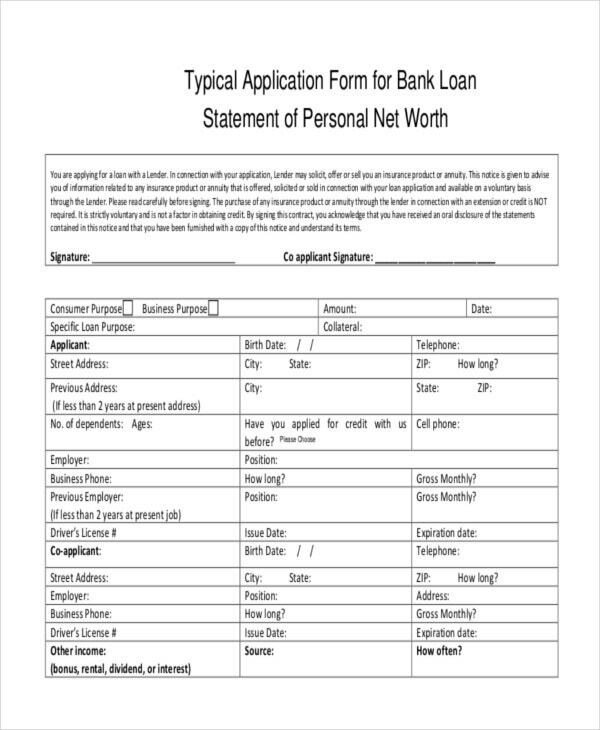 The simplest manner would be to submit an application to the bank giving the details of the account number as well as the period for which one requires the statement. Usually, the banks have to provide one copy of the statement free. 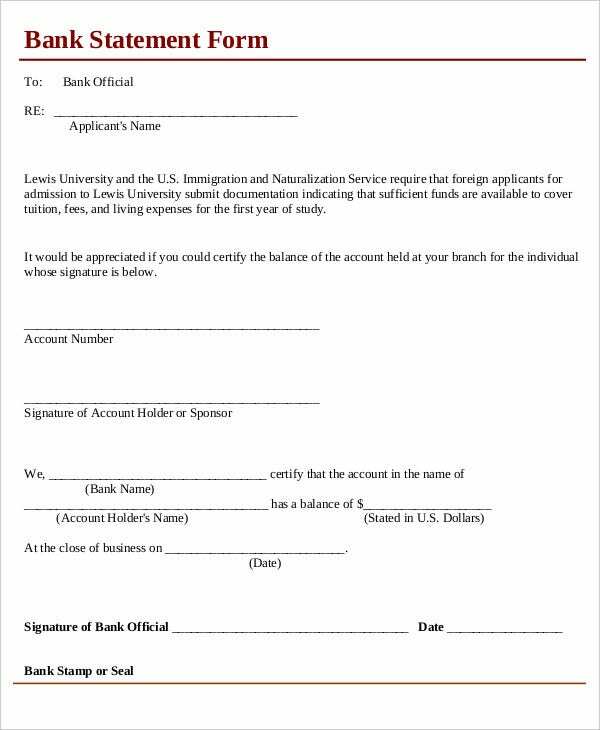 The bank is at liberty to charge a fee for any additional requirements. The very purpose of requesting a statement of account from the bank is to reconcile the same with your books. It may happen occasionally that the balances may not tally. There could be many reasons for the same. The bank might have debited some charges or credited an interest amount to your account. 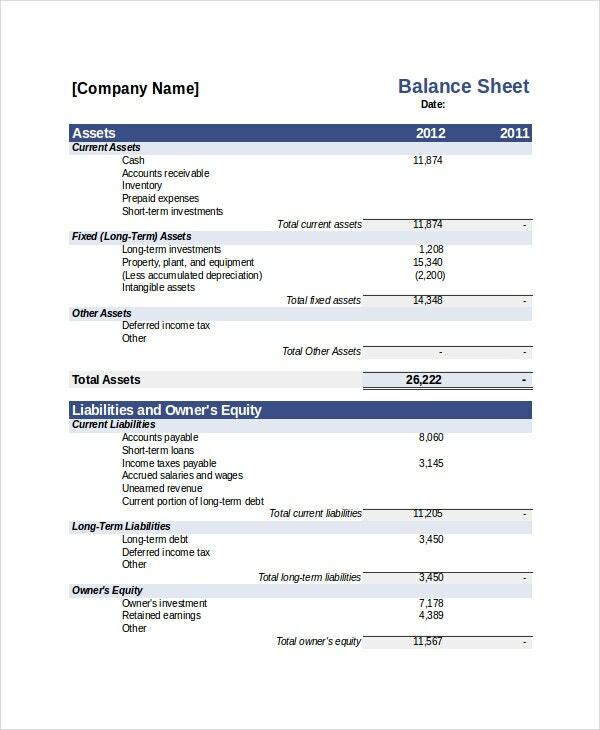 You may also see Income Statement Templates. You might not have received the information regarding the same. You may have to reduce the same from your account. At the same time, you might have issued some cheques that have not come to the bank for debiting. You have to add back these items to arrive at the correct figure. 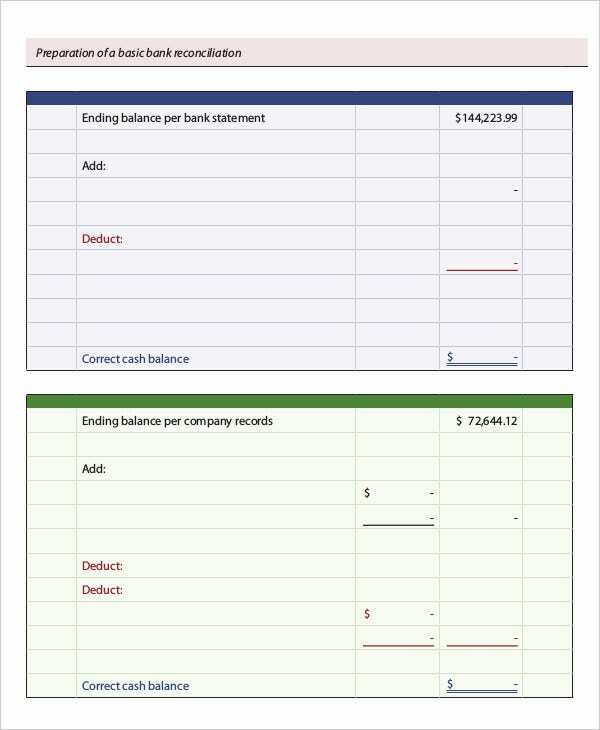 This is the purpose of preparing a bank reconciliation statement. 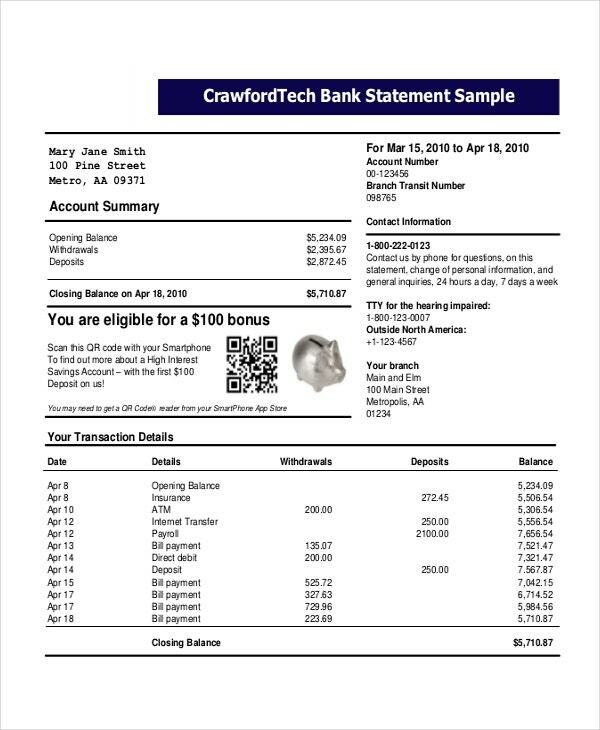 The bank statement would give you information about the funds available in your account. 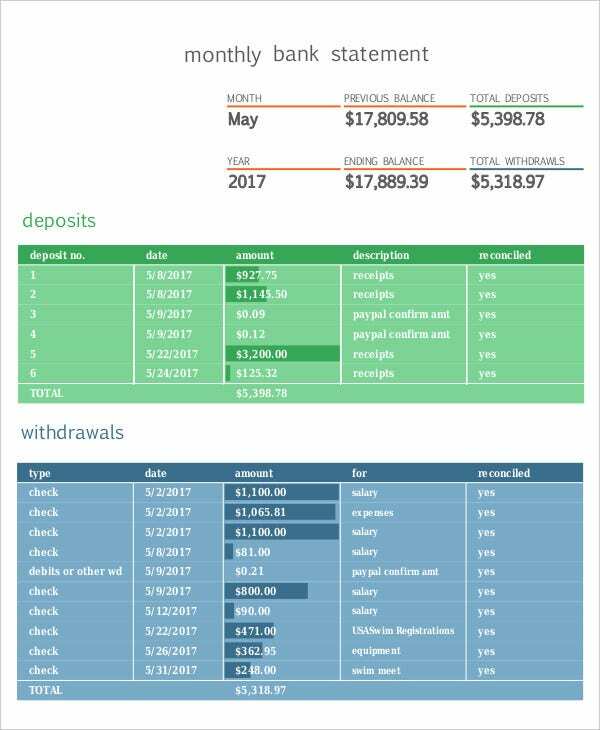 This would also detail the amounts you have received or paid during a certain period. You have a right to know the details. You could use the statement to know your correct financial status. Knowledge of the funds at your disposal would enable you to plan accordingly. You would be able to issue your cheques for your expenses after confirming the balances. You will get an idea about the various bank schemes as well. The banks usually use the bank statements to advertise their various products. In some countries, you can use the bank statement as a proof of address as well. Bank statements are important documents. You should preserve them carefully. The banks are under an obligation to provide you with the statement of accounts. Similarly, you have to submit your financial requirements to the bank in a prescribed format. 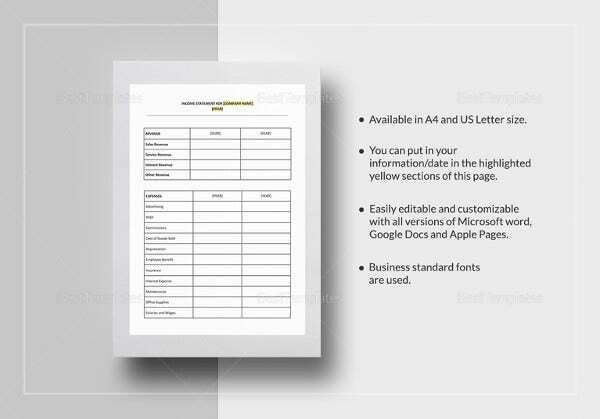 You can access these templates with the Internal Link Anchor Text for further information.